An ultra sleek design and compact clearomizer from V2, this high capacity tank holds up to 2 ML of your favorite e-liquid. The Trinity features a convenient top fill design for easy refills. 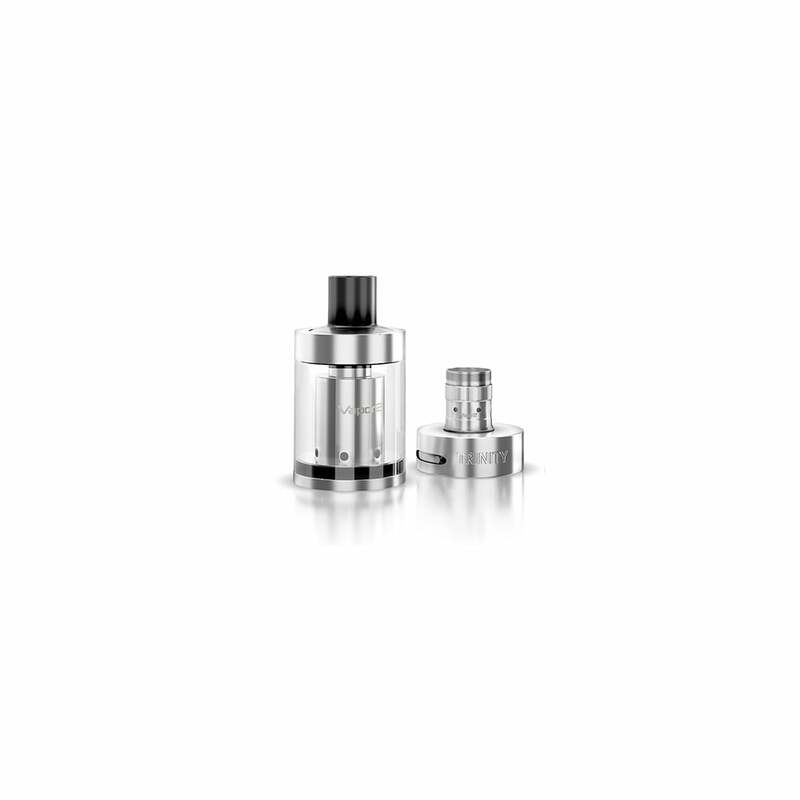 Each tank comes with two interchangeable atomizers. The sub ohm 0.8 atomizer can be used with VG blends while the standard 1.2 ohm atomizer works best with PG blends. The Trinity Tank conjures up vintage Americana vibes aesthetically, although the technology behind the design is innovative and modern - the best of both worlds combined. Providing a exhilaratingly pure, seamless airflow that makes for a more pristine vaping experience, the Trinity Tank is one for the modern day vaper that has an appreciation for classic design.